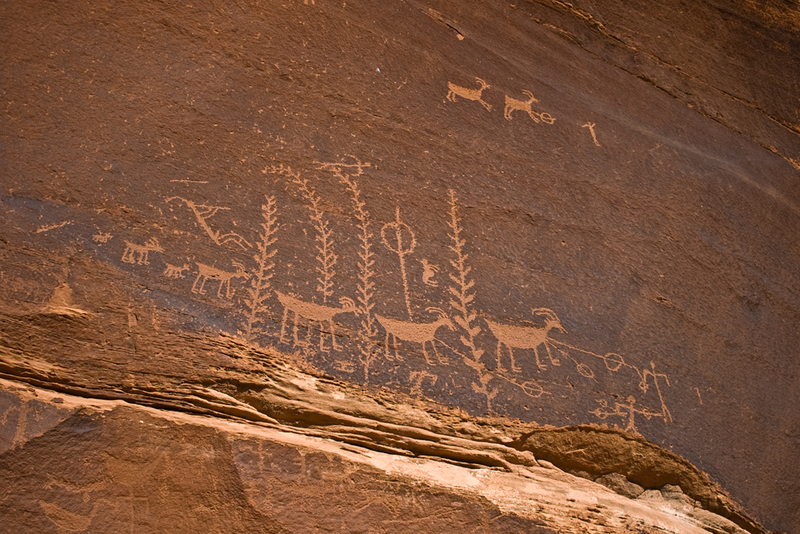 Ancestral Pueblo Hunting Scene Petroglyphs. Hunters using atlatls and darts attack sheep in what may be a field of corn. A flute player floats beside. 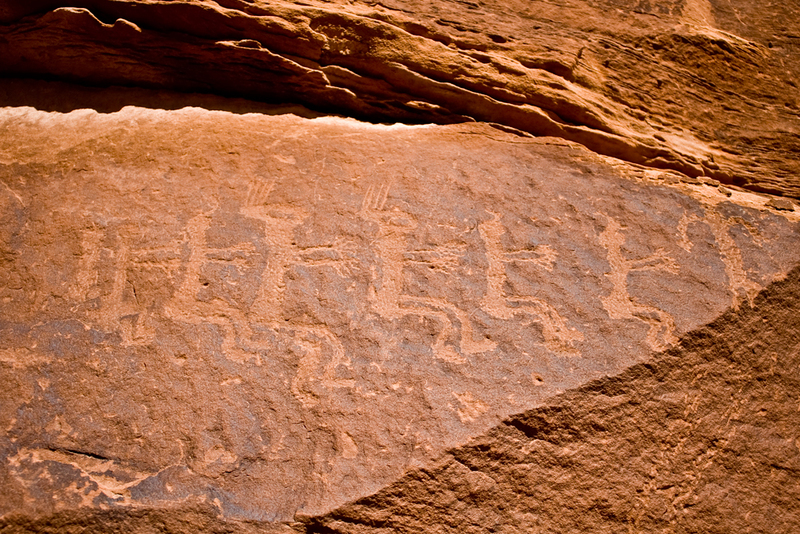 In Legacy of Stone, page 123, Sally J. Cole discusses the numerous occurrences of twin figures similar to these in the Cedar Mesa area. The cover of her book also features these figures.